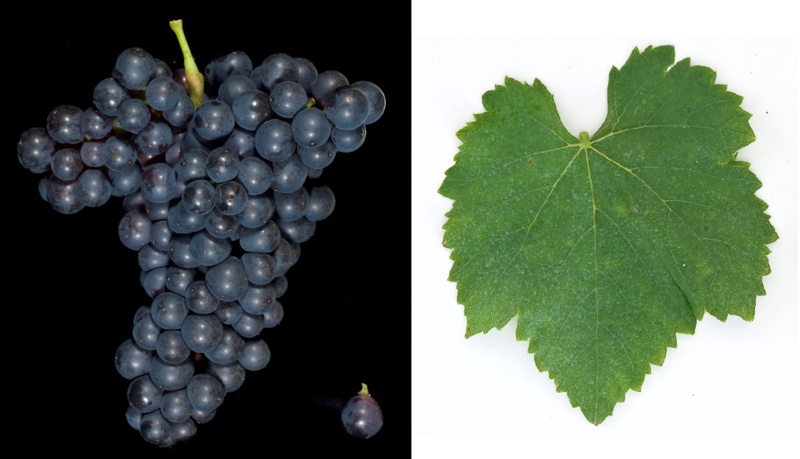 The red grape variety is a new breed between Muscat Bouschet x Kékfrankos ( Blaufränkisch ). Synonyms are Madar Frankos and Magyar Frankos. The crossing took place in 1953 in Hungary by the two breeders Pál Kozma and József Tusnádi. The variety protection was granted in 1974. The late-ripening, high-yielding vine is resistant to wintry frost but prone to Botrytis, She produces dark reds. The variety is in the central northern area Mátraalja grown on a few hectares. In 2010, however, no stocks were reported (Statistics Kym Anderson ). This page was last modified at 26 January 2018 at 18:20.